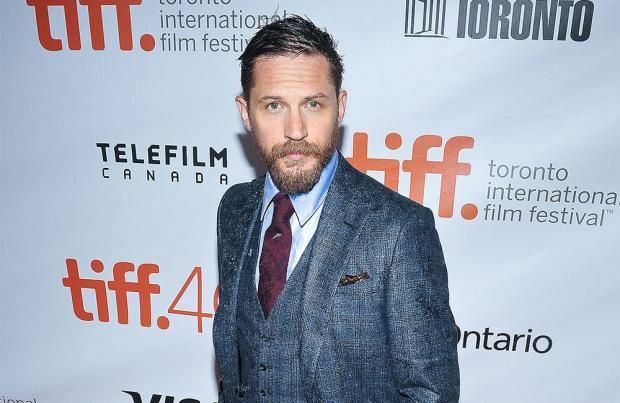 Tom Hardy is "waiting for the call" for the 'Mad Max' sequels. The 39-year-old actor has addressed speculation that follow-ups to 2015's 'Mad Max: Fury Road' are to be made and insists he's waiting for director George Miller to give him a call about reprising his titular role as protagonist Max Rockatansky. Asked if the sequels are happening , he told The Wrap: "Yeah I believe so! I don't know when that starts, but I believe that's in the books. "There's a couple of those floating around. I'm waiting for the call to come. It was so good man." The award-winning filmmaker said at the beginning of 2016 that he wants to make two more 'Mad Max' movies. Addressing an interview, which said he wouldn't be making another film for the franchise, he said: "That was a completely garbled interview. "I was in New York and it was so noisy and the journalist was asking me questions on a red carpet at the National Board of Review. "She completely got the wrong fragments of information that there were just not true. "I said no, [another 'Mad Max' movie] will not be next, and she took that to mean I never wanted to make another 'Mad Max'. "It won't necessarily be next, but I have two more stories." And he also said he is keen for Charlize Theron's character, Furiosa, to appear in one of them. He said: "She's a pretty compelling character, so it'd be great to tell her story. "Her backstory is pretty interesting; we only allude to it in this movie. "This movie is on the run, people don't have much time for recreational talk. "You have a sense of her having gone through stuff, that's what the movie is trying to do. "You know, you're trying to put a lot of iceberg under the tip, I like saying." 'Mad Max: Fury Road' is the highest-grossing film in the 'Mad Max' franchise. As well as Hardy and Theron it also starred Nicholas Hoult as Nux. The titular vigilante was previously played by Mel Gibson, who was catapulted to worldwide fame when he was cast by Miller in 1979's 'Mad Max' movie and he went on to reprise the role in two sequels, working with the director on all three films.